When it comes to finding the whimsy in life, some people don’t look very hard. They reach adulthood and their compass needles get stuck on “S” for serious. Their playful spirits, their childlike joy, their sense of the silly, all seem to evaporate. And yet, a little whimsy and a daily dose of humour can heal much of what ails us. I hope the quirky characters in my book Beaver Bluff deliver a bit of both. Visit www.Artsyville.com for more of Aimee Dolich’s whimsies. When it comes to finding the whimsy in my own life, because I work with words I often tend to look for whimsy in lighthearted images. 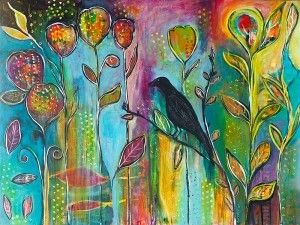 Whimsical art delights me, so I thought sharing some might brighten your day too. (If you like the work of these artists, delight THEM by visiting their websites and telling them so). 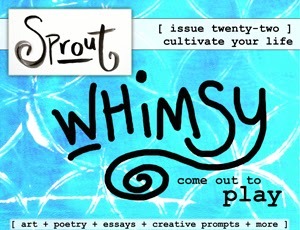 And if you want more whimsy in your life—60 pages of colour-soaked whimsical images and words—check out this month’s issue of Sprout Online, Whimsy. I’m proud to have a poem included, and to be interviewed in their “Community Garden” section. You’ll find more of Aimee and Julia’s work in this Whimsy issue too, and you can visit their personal sites here (Aimee Dolich; Julia Fehrenbacher). 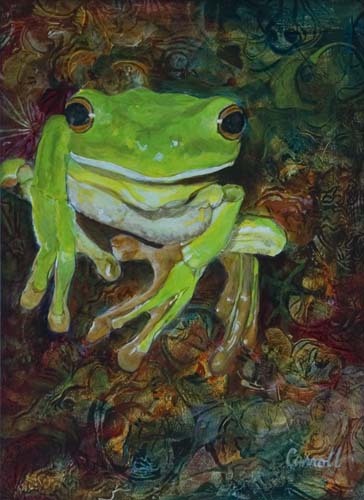 … and, on nearby Gabriola Island, I adore Tammy Hudgeon’s multi-coloured glass. 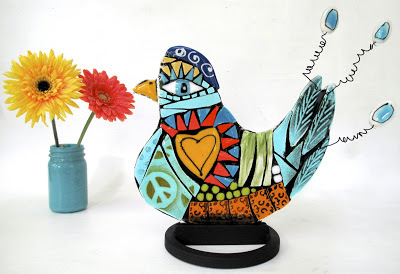 Look around, and you’ll soon be finding the whimsy wherever you are! I agree with Judy that we are too serious, and take ourselves too seriously at times. We need whimsy in our lives. 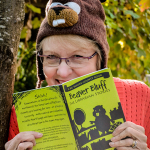 Enjoy Judy’s stories if you want a belly laugh and a dash of whimsy. Thanks for sharing your cheerful art with us, Aimee! 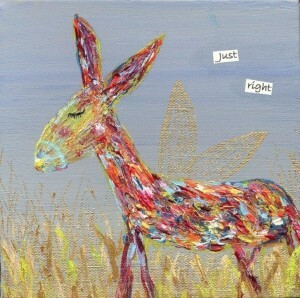 Judy, you are whimsy in action! Such a delight to work with you and include your thoughts in this issue of Sprout. Thank you for sharing the happy here. Thanks for dropping by, Amanda. I loved being part of such a great mag!